I kept getting this niggling feeling that I’d read something like this before, but that could just be that I’d read a number of reviews and/or that I read a preview snippet somewhere. That being said, I was enthralled by the story, and practically binge-read the novel in a week. Leiyin has to make a choice: Should she save her only child or forever relinquish her own afterlife? Civil war China is fractured by social and political change. Behind the magnificent gates of the Song family estate, however, none of this upheaval has touched Leiyin, a spoiled and idealistic teenager. But when Leiyin meets the captivating left-wing poet Hanchin, she defies her father and learns a harsh reality: that her father has the power to dictate her fate. Leiyin’s punishment for disobedience leads to exile from her family, an unwanted marriage and ultimately a lover’s betrayal—followed by her untimely death. Now a ghost, Leiyin must make amends to earn entry to the afterlife. But when her young daughter faces a dangerous future, Leiyin has to make a heart-wrenching choice. There was so much atmosphere in the book, but it manages to enhance the story not overwhelm it. The history of China, the customs of traditional Chinese families, and the leftist literature all blend into the story seamlessly. Set in 1935, the story is told as a mixture of flashbacks to her mortal past, and current reflections in her ethereal form, as Leiyin attempts to understand (and remember) her life and choices. The inspiration behind the story is incredibly intriguing to me. This short video below is Janie Chang explaining the truth behind the fiction. She had been recording her family’s oral histories, passed down through the generations, for years and her grandmother was from a wealthy family and highly educated and intelligent. But she was rebellious—tried to run away to go to university—and was caught and then married off as punishment. 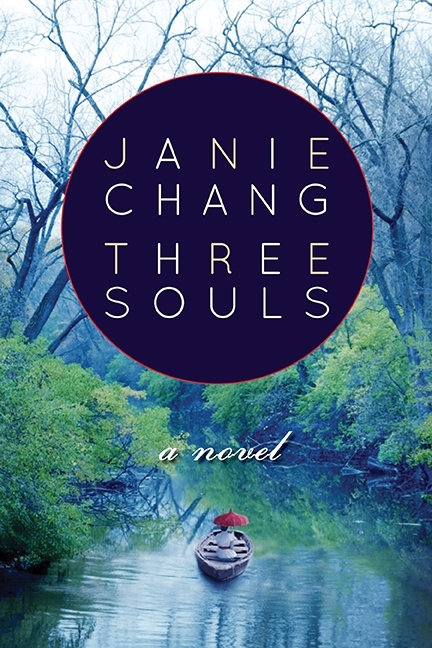 The three souls were an intriguing concept, both as a literary tool and a cultural marker. However, for me, I found it difficult to keep the three ‘personalities’ of the souls distinct, and the influence of their opinions on Leiyin was difficult for me to fully contextualize. I didn’t imagine the ghost of Leiyin as ‘soul-less’, but the three souls felt more like arguing ancestors or guiding guardians. As a literary tool I can see how it worked, although at times it felt clunky in reading the “dialogue”, which could be more of a formatting issue. It was Leiyin’s emotional and mental journey of remembering her life that was so fulfilling for me to read. The character development as she transformed from a romantic, headstrong, entitled teen was beautiful. I think the best thing about the transformation was she didn’t have some ‘ah-ha’ moment, or suddenly her behaviour changes, but the gradual acceptance and understanding that Leiyin experiences. The descriptions are vivid but not overpowering—from clothing and furniture to behaviour and mannerisms—Janie Chang paints a brilliant picture of China in the 1930s and Leiyin’s family. The other characters, although secondary, are still given a full range of emotions and motivations, making them more three dimensional. Leiyin’s sisters, brothers, father, and step-mother all provide a better understanding of the setting and atmosphere. The novel read like historical fiction, but felt present and current at the same time. The characters didn’t feel relegated to history books, but flesh and blood, fully realized human beings. Chang’s portrayal of Leiyin, her sisters, and her step-mother really enlightened me to the experiences of these women—not just as oppressed women in China—but as individuals with hopes and desires like their male counterparts. Full disclosure: I was generously sent a copy of the book from the author, Janie Chang, after I interviewed her for The Peak, SFU’s student newspaper. A review was not expected.